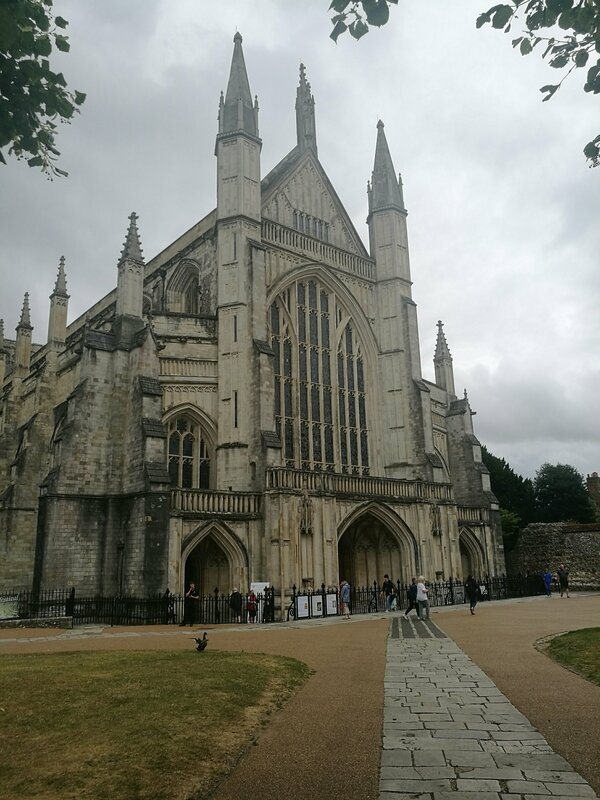 Winchester is one of my favourite cities to visit, it is a place steeped in history. Everywhere you look there is a nod to the past, whether its a plaque explaining historical significance or a historic building, even the high street has a historic charm! There are plenty of places to shop on the high street and in the Brooklands shopping centre with a choice of boutique stores and high street shops. There’s also plenty of places to eat and drink from pubs to bars and restaurants to cafes. 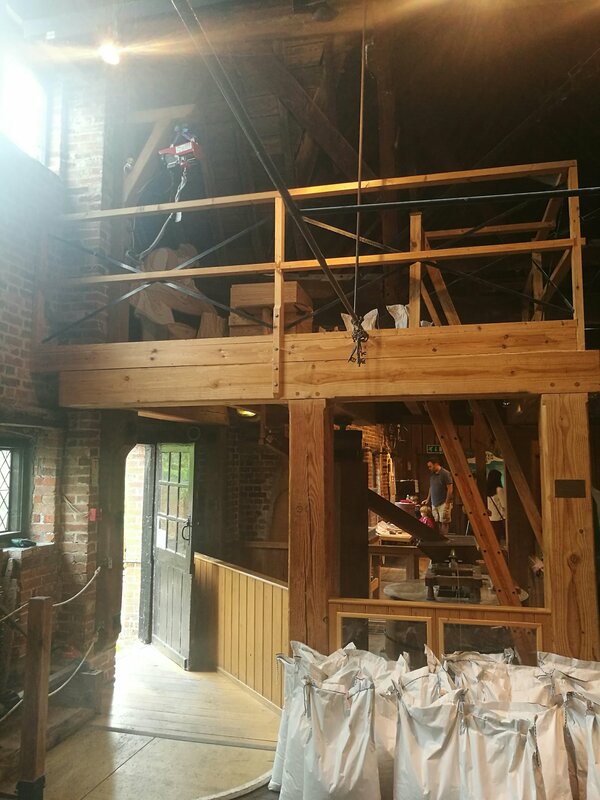 When we went we were on a bit of a mission to visit the Winchester City Mill and the Winchester Cathedral. 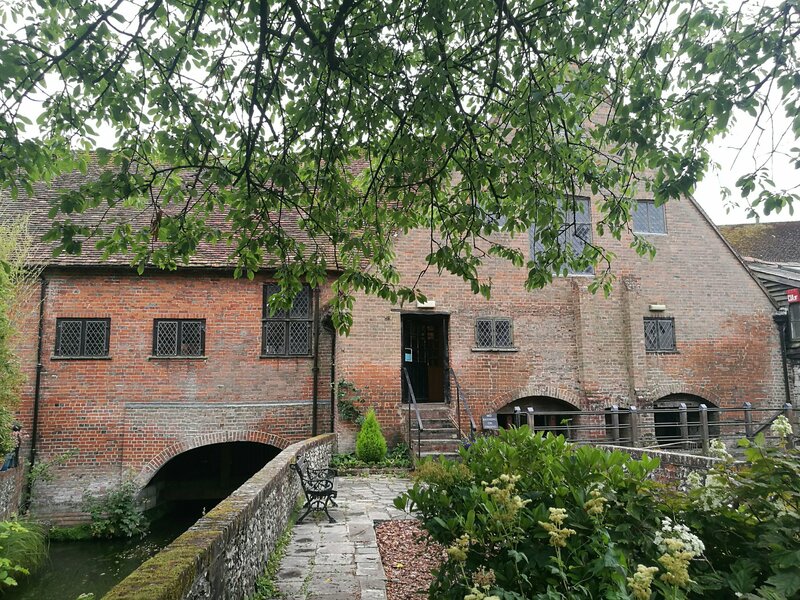 We went to the City Mill first which is a small historic mill owned by the National Trust. Inside is only small but it is packed with interactive displays and is perfect for kids. The volunteers were on hand to answer any questions and explain how the mill worked. If you are looking for something to do with kids this is perfect with lots for little hands to do and its only a short walk from the high street. The building is quite impressive and there is currently an appeal to help restore the mill and prevent its closure. After this we headed to Winchester Cathedral, the main attraction in the city. I love it there, it is such an impressive building and full of history. At the moment Winchester and many nearby places are celebrating Jane Austen as this year marks 200 years since her death. Jane was buried at the cathedral and they currently have a lovely display about her life, including some of her books and original writing. I love visiting churches, the Vatican is probably the most impressive building I’ve seen. I’m not a religious person but I definitely get a sense of spirituality from religious buildings. 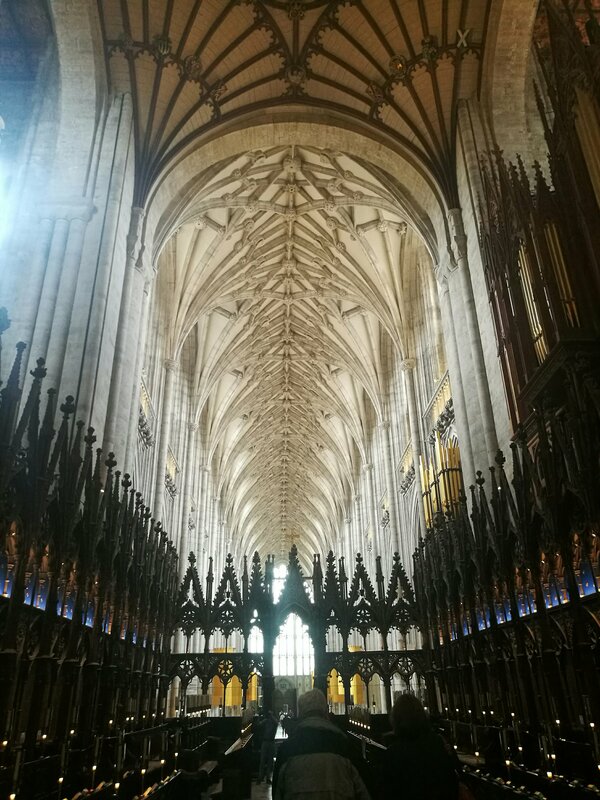 There were lots of knowledgeable volunteers available who lead tours around cathedral, this is the best way to understand the history of the cathedral and those connected to it, as a cathedral there are not many information boards around but they do offer audio guides. They’re currently working on a new exhibition about the Winchester Bible and have a small introductory room where it is on display. Tickets to the Cathedral last a year so its definitely worth having one if you live nearby. We will definitely be back to have a look at some of the other attractions in the city and I can’t wait for the Winchester Christmas market! We say we’ll go every year and never manage it, but I am determined this year!